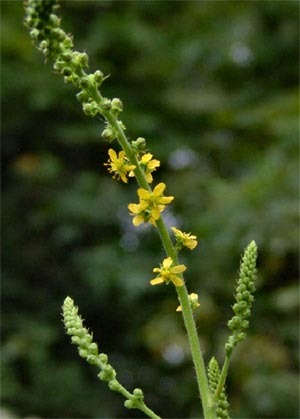 Medicinal uses: As an astringent in the treatment of external wounds, especially to stop bleeding. Also used to treat mucosal inflammations of throat and acute diarrhea, piles, cystitis, and urinary incontinence (Chevallier 162). Additional uses: Due to its astringent properties it makes a fine lotion for the skin. The leaves and stems can also be used to make a yellow dye (Kowalchik 4). Cautions: None known (Chevallier 162).